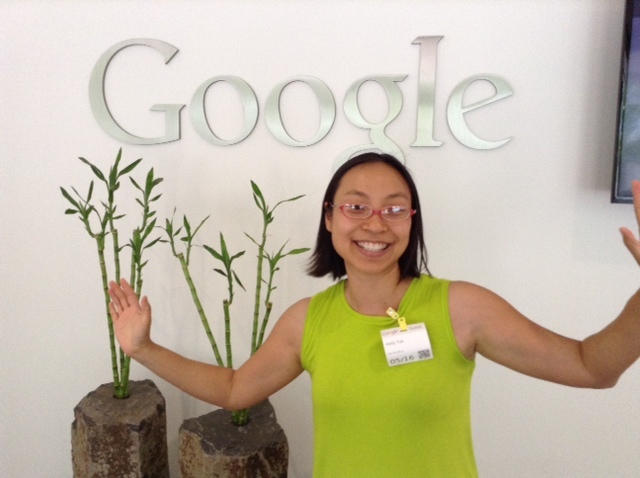 I had a blast teaching a workshop at Google HQ this Friday. The topic was on “Finding Balance Through Your Soles and Soul.” It was admittedly a bit strange at first stepping onto the Google campus as it reminded me so much of my days working in the Internet industry. As Googlers rode by on their multi-coloured bikes, I looked at their bright, cheery faces, and watched large groups of peers walk by. The free juice bar was total deja vu, reminding me of a company where I once worked that had a free coffee bar. A great thing to have only I didn’t drink coffee. However, once I stepped into the presentation room, all of the weird deja vu went away and I was in my element teaching the Mystic Googlers about Chinese Reflexology and how they could use a handful of points to feel more balance in their lives. They were a wonderful group of people with curious minds and very open and friendly energy. At one point, we did a group Qi Gong/channelling exercise and the wisdom that came through and was shared by each person was absolutely brilliant. I’m looking forward to figuring out how to adapt the workshop to present it online. I’m feeling called by my heart to offer this one as a free online seminar. I’ll keep you posted when the details manifest!